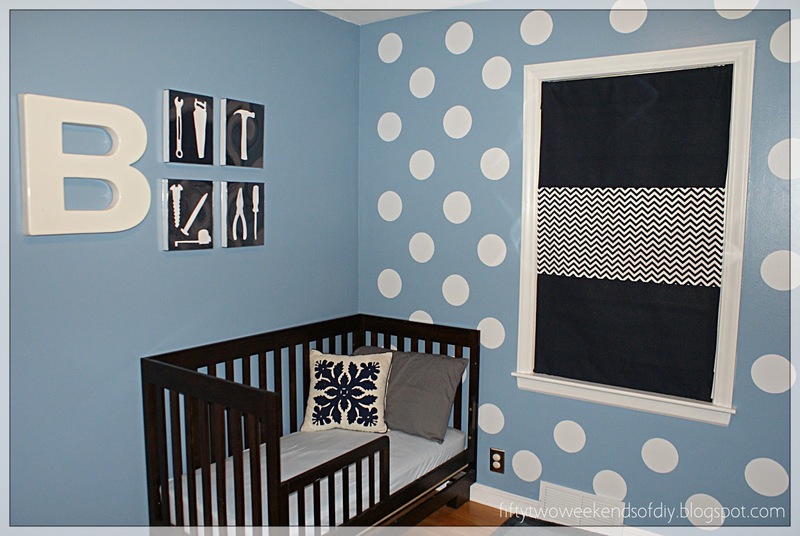 We added white polka dots to a wall in our son's room for under $20. Here are the step by step instructions, good luck & Happy DIY! 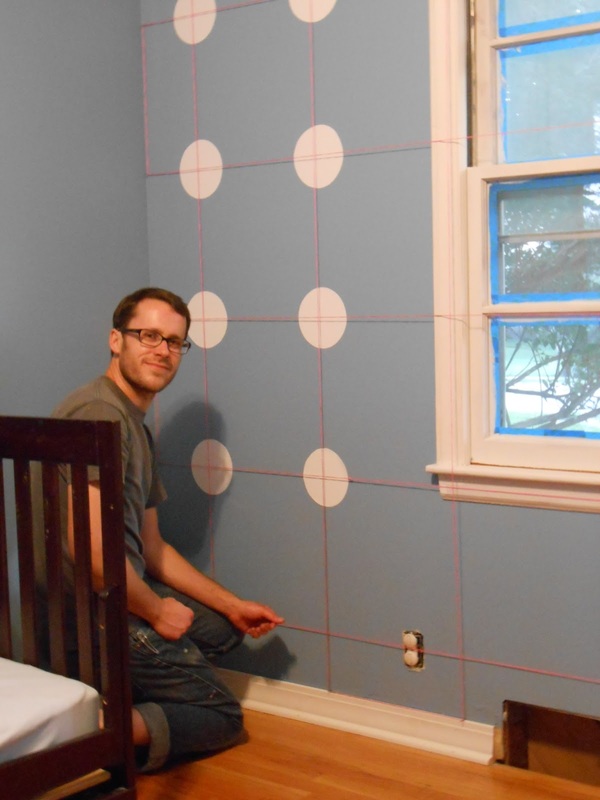 Make a grid on the wall - Jesse placed tiny nails at measured intervals in the corners of the walls and then ran string between them. I wasn't a fan of adding holes to freshly painted walls, but they weren't even noticeable when we were finished. Second, add vinyl dots in the center of each square to make off-set rows of dots. Remove string and nails, touch up holes if needed. - Voila! 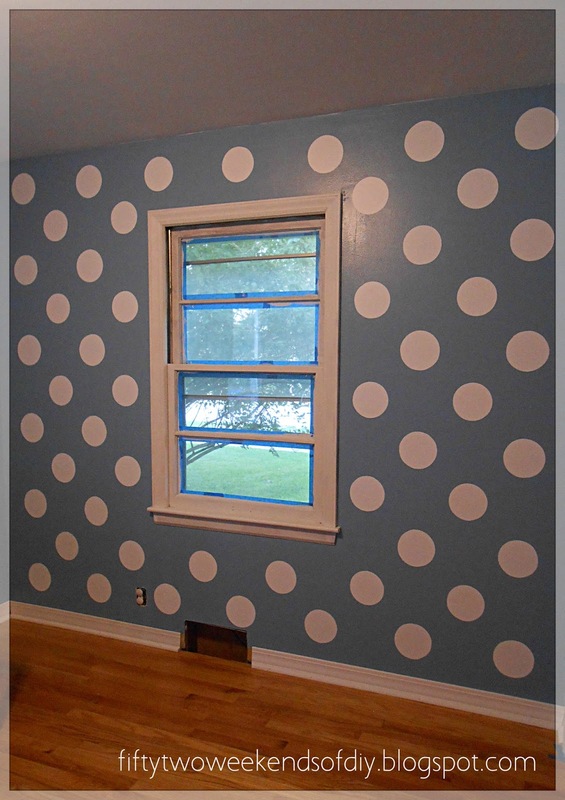 Adorable DIY polka dot wall!